If you are a master card player (or even just a casual one), then a deck of cards is the tool with which you practice your craft. But if you are like most gamblers, you’ve probably never given too much thought to the cards themselves–what they are, where they originated from, and why they are the way are. Below are some surprising answers to the most commonly asked questions about playing cards. Why are there 52 cards in a deck? 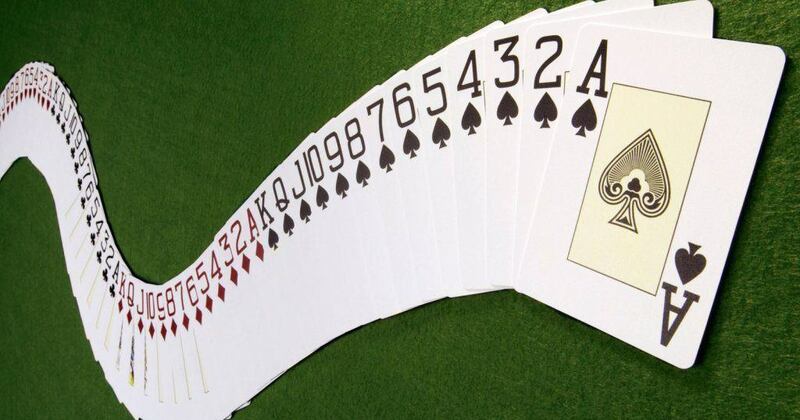 Over the centuries, decks of cards have come in variations of 24, 36, 40, 48, and just about any amount in between. No one can say for sure just why 52 has become the most common deck size, other than that due to English and French colonialism, the French deck (with 52 cards) was able to spread around the world quite easily. An interesting tidbit is that just like there are 52 cards in a standard deck, there are also 52 weeks in a year, and if you add up all the symbols in a deck of cards, it equals the same amount of days in a year = 365. How and when were decks of cards invented? Most scholars agree that playing cards were invented by the Chinese in the 9th century. Many also recognize that the first “real” deck of printed cards was the 32-card Chinese domino deck that featured all 21 possible combinations of a pair of dice. These first packs were printed on paper, bone, and wood. Some also think these first cards were a form of currency used specifically for gambling games. 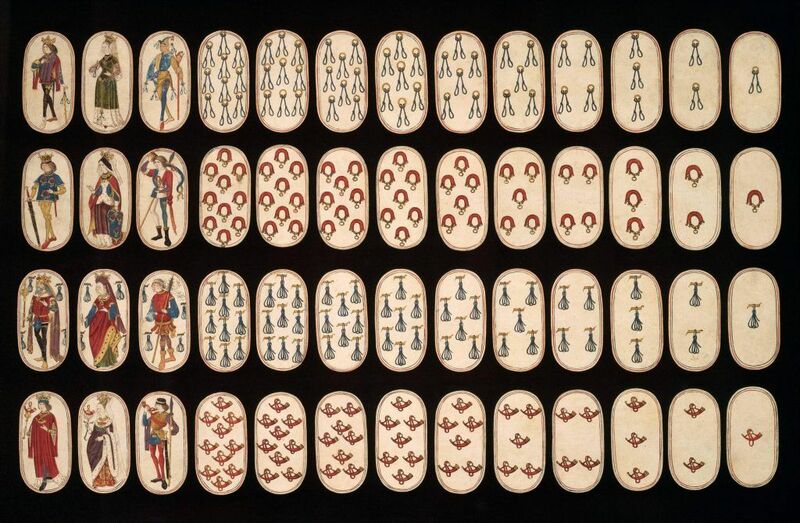 Throughout the following centuries, playing cards spread to India, Persia, Egypt, and then Europe, developing their own unique variations along the way. How long are decks used in casinos before they are thrown away (or sold) in Las Vegas? Depending on how busy the table is, the type of game, and whether they are being shuffled by hand or by machine, decks in Vegas can last up to 12 hours. But during periods of heavy play, that number can be as little as one hour before being switched out. Cards are retired so that distinguishing marks (like scuffs or small bends) don’t give an advantage to players that are really paying attention. 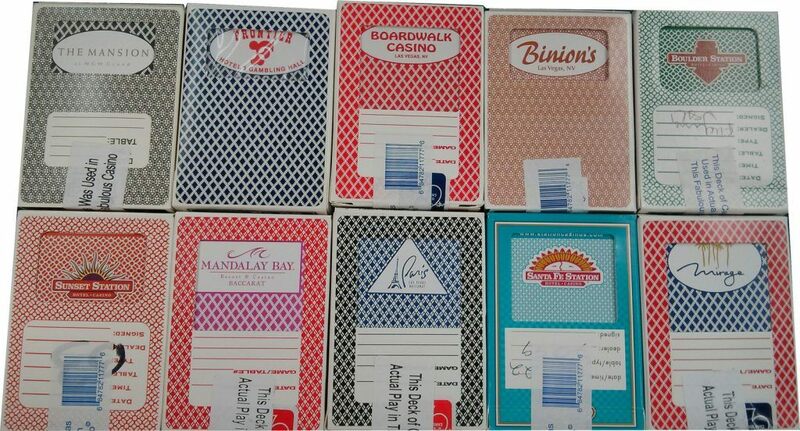 These ‘clipped’ or ‘punched’ decks can usually then be bought in a casino’s store or online. What is the world’s rarest/most expensive deck of cards ever? Card-deck collecting is a hobby for many around the world, though there is no clear-cut market prices like in other collecting hobbies. However, the rarest–and oldest–deck of cards is considered to be a 52-card tarot deck from mid-15th century Netherlands. Now residing in New York’s Metropolitan Museum of Art, it was originally sold to a collector in the 1970’s for $2,800. On eBay, obscure decks of cards (such as the ultra-rate Microsoft-David Blaine Create Magic deck) regularly go between $400-$1,000. Why are there four suits in a deck? There have been many variations of suits over the years across many different cultures, but the exact origins and reasons are open to debate. Many agree, however, that suits similar to how we know them, now first appeared on Chinese “money-suited” cards circa the early 15th century, where each of four suits represented a different amount of money. While countries like Germany, Spain, Switzerland, Italy, and others all developed their own types of suits and decks, it was the French version with its diamonds, hearts, spades, and clubs that spread worldwide over the past two centuries. The world’s largest manufacturer of playing cards is the United States Playing Card Company. Their product line includes many of the most well-known brands of cards, including Aviator, Bee, Bicycle, Tally-Ho, and many others. USPCC’s brands are the top choice of many famous casinos around the world. A Belgian company, Cartamundi, also claims to be the world’s largest manufacturer, however, their scope extends beyond basic playing card decks and into other types of card games. Most famous deck of cards ever? While there are many centuries-old decks of cards held in places like at Yale University’s Cary Playing Card Database, the most iconic card decks are probably the Bicycle brand of playing cards used by gamblers, magicians, casinos, and casual card players all over the world. First produced in 1885, the brand gained particular notoriety during World War II and the Vietnam War. 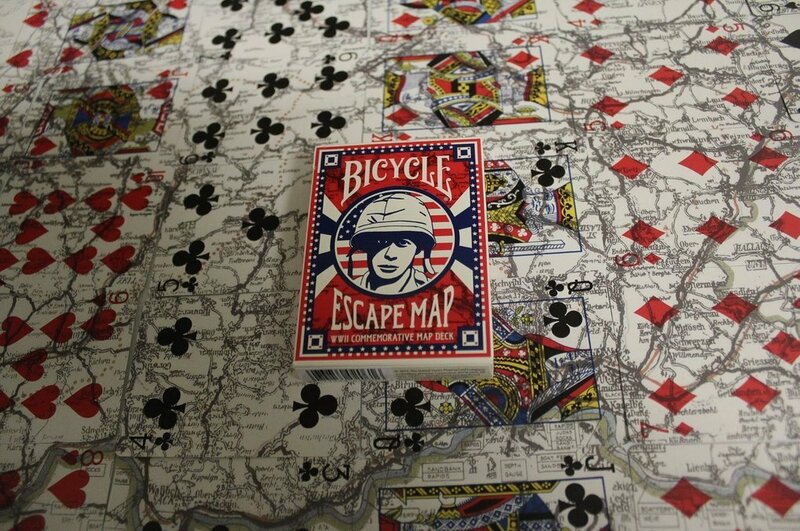 In WWII, special decks of Bicycle cards were given to American POWs. When peeled apart and put together in a particular manner, they would create a map of the area that would assist in an escape. In Vietnam, entire crates of Ace of Spades cards were shipped by the company to U.S. soldiers, as it was believed at the time (later proven to be a myth) that the Viet Cong were superstitious of the card and would flee battle at the sight of seeing it resting upon the body of one of their dead. How to properly shuffle a deck? Due to the number of order possibilities in a 52-card deck (52 factorial, or the number 8 with 67 zeroes after it, to be exact), it’s probable that a properly shuffled deck of cards has never yielded the exact same order of cards in all of history. Thus, any sort of shuffling technique (and then especially a cut of the deck afterwards) ensures that the deck is in a random and unpredictable order. The most common methods of shuffling are the overhand, riffle, and Hindu shuffles. 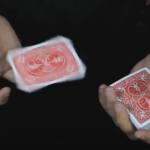 Riffle shuffling is where the deck is split into two, held next to one another in each hand with thumbs inward, then released so that the cards interweave with one another. 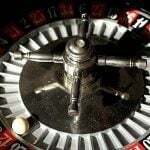 This is the method of choice by casinos because it has a lower risk of revealing the cards during the shuffle. The Hindu shuffle is extremely common in Asia, and has the shuffler holding the full deck in one hand and then quickly drawing random “packets” of cards into the palm of the remaining hand. What is a casino-quality deck of cards & why? Most casinos use cards that are 100% plastic. 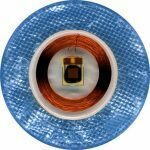 Unlike the paper cards you probably use at your weekly poker games, plastic allows the cards to be used for more hands before being swapped out, especially in games like poker where card-handling by players is much more frequent. Plastic cards also provide additional security as they make it more difficult for players to mark than their paper counterparts. What security measures do casinos use to stop cards being marked or cloned? 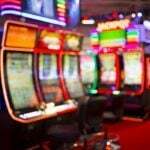 Cards in casinos typically have large symbols and characters so that security cameras can more easily pick up on any specific cards that seem to be involved in an inordinate amount of the action. But before a deck of cards even leaves the factory, it is first shuffled by machine. When a new deck is introduced, it is inspected and signed off on by the pit boss and dealer, who spread out the entire deck to look for imperfections that might give away what a particular card is. If approved, it is then shuffled again either by hand or by machine. When a deck of cards is retired, every card must first be accounted for. Then, the deck is either shredded or has a hole punched through it or the corner clipped off each card and then resold. This is so that the deck cannot be manipulated and then somehow snuck back into use at the casino.